Israeli forces continued their violations against the Palestinian people and their property, Wednesday, with raids near Hebron, Bethlehem, Nablus and in occupied East Jerusalem. Soldiers, today, handed demolition notices to five families of al-Hathaleen tribe, in Um el- Khair village, south of Hebron and to the east of Yatta. Rateb al-Jbour, who coordinates the anti-wall and settlement popular committee in southern Hebron, said that the families were ordered to remove barbed wire fences and gardens as a prelude to the seizing of their lands, in an expansion of illegal Israeli settlement of Karmiel. The 150-dunam plot of land, according to WAFA, is designated as part of Area C and under full Israeli control. 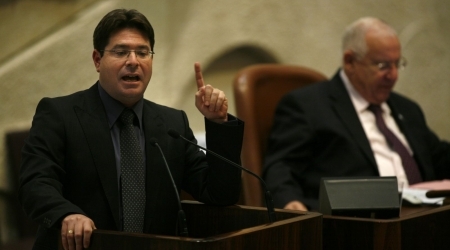 In response to the new Palestinian government formation, Israeli MK, Opher Akonis,has called for giving serious thought to the idea of annexing Area C of the occupied West Bank that is under the full Israeli sovereignty. The Oslo II Accord divided the West Bank into three administrative divisions, says Al Ray: Area A (full civil and security control by the Palestinian Authority), area B (Palestinian civil control and joint Israeli-Palestinian security control) and area C (full Israeli civil and security control). Al-Jbour told the PNN that forces also seized the residents cars and tractors, in order to prevent access in and out of the village. In al-Khader village, to the south of Bethlehem, Israeli authorities set up new settlements constructions on Palestinians lands, today, as well. Huassan Bragyeh, coordinator of the Popular Resistance against the Wall and Settlement in Bethlehem, said that authorities upgraded the settlers’ carnivals to concrete constructions, making the permanent structures in the area, according to the PNN. He added that the Israel continues to build in this area, south of Bethlehem, most likely as an effort to extend the illegal settlement of Efrat from its eastern and southern sections, in order to divide Bethlehem. Al-Khader land owners are now networking with organizations that might help them to retrieve their property through the Israeli court system. In occupied East Jerusalem, Israeli settlers accompanied by police invaded the al Aqsa mosque compound, laying siege to Palestinians at compound gates. Palestinian sources have informed PNN that around 60 Israeli Settlers raided the compound this morning, for the purpose of performing Talmudic prayers. Following the raid, Israeli police obstructed Palestinians from praying, in protection of settlers who were still in the compound. According to the sources, the department of Awqaf in Jerusalem has attempted to open the gates and evacuate the settlers, with Palestinian organizations in Jerusalem afraid that the raids may activate an Israeli plan to divide the compound itself. WAFA reports that Palestinian President Mahmoud Abbas condemned the repeated assaults on Al Aqsa by Israeli Knesset members, settlers and police, calling on the Arab and Islamic world, including the Kingdom of Jordan, the Jerusalem Committee and the Organization of Islamic Conference to make prompt decisions and real steps to protect and defend it. He warned of the ongoing excavations beneath the mosque, warning that it was liable to collapse at any moment. Furthermore, WAFA reports that Abbas has decided to attend the Jeddah-based conference of the Organization of Islamic Conference, which is scheduled for June 18th, in light of the danger facing the mosque and other Muslim and Christian holy sites. He called for activation of the Arab summit resolutions, and for the Committee on Jerusalem and Holy Sites to take steps in protecting and maintaining the Arab cultural identity of Jerusalem. In addition to today's attacks, Ghassan Daghlas, a PA official who monitors settlement activities in the West Bank, told Ma'an News Agency that "a number of settlers from the Havat Gilad ("Gilad's Farm") settlement burned dozens of trees and the fire spread in the area", in the Palestinian villages of Farata and Immatin west, in the Nablus region, in a targeted attack on local villagers, adding that "Palestinian civil defense was trying to reach the area to put out the fire." According to the UN Office for the Coordination of Humanitarian Affairs, in 2013, there were 399 incidents of settler violence against Palestinians in the occupied West Bank, states Ma'an, with over 90 percent of investigations by Israeli police failing to lead to indictment. More than 500,000 Israeli settlers live in settlements across the occupied West Bank and East Jerusalem, in direct violation of international law, to which Israel is signatory. 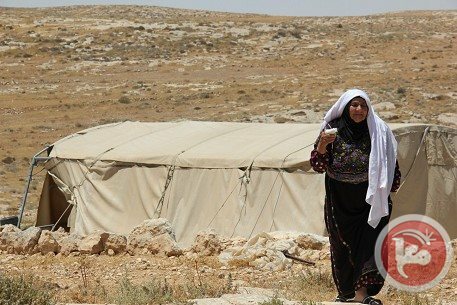 Israeli forces told residents of Um al-Kher village in the southern Hebron hills to evacuate parts of their property on Wednesday, in a move activists say is intended to pave the way for the expansion of a Jewish-only settlement nearby. Rateb al-Jubur, a coordinator of the National Committee Against Settlements and the Wall, said that Israeli forces handed the Hathaleen family from the village east of Yatta notices telling them to remove gardens and barbed wire from lands they own in order for the lands to be annexed to the settlement of Karmel. Al-Jubur said that the same family had been handed notices a few days earlier telling them to remove the barbed wire that surrounds 150 dunams (37 acres) of their land in the village, which is located in Area C and thus falls under full Israeli military control. Al-Jubur also said that the Israeli forces on Wednesday seized a tractor that belongs to resident Omar Hasan Hoshieh from Yatta, and three cars that belong to Bedouins who live east of Yatta. Al Jubur called upon all international and human-rights institutions to intervene and limit these acts that aim to force out the owners of these lands from them. Um al-Kher is frequently targeted by settlers living in Karmel, and Israeli authorities have pressured villagers to leave areas near the settlement in order to facilitate its expansion. The South Hebron Hills, known locally as Masafer Yatta, lie almost entirely in Area C, the 62 percent of the West Bank under full Israeli civil and military control since the 1993 Oslo Accords. The safety of these settlers is often given as an excuse for forced displacement of Palestinians who live in villages in the area. In response to new Palestinian government formation, Israeli MK, Opher Akonis, called for thinking seriously of annexing the Area C of the occupied West Bank that is under the full Israeli sovereignty. The Oslo II Accord divided the West Bank into three administrative divisions: Area A (full civil and security control by the Palestinian Authority), area B (Palestinian civil control and joint Israeli-Palestinian security control) and area C (full Israeli civil and security control). According to Kol Israel website, Akonis said that Israel PM Benjamin Netanyahu's position in this regard may be changed after forming the new national Palestinian government. The MK confirmed that Israel will not conduct negotiations with any Palestinian government includes Hamas. Nachman Shai, the Israeli MK, said that the American recognition of the new Palestinian government is a stab Israel. He predicted that the European countries will follow the United States steps. In contrast to Akonis, Shai described the call for annexation of Area C as a dispensable one for Israel, calling Netanyahu to announce his position clearly. A number of Palestinian institutions and national forces in Sebastia town northwest of Nablus called for putting an end to Israeli attempts to falsify historical facts of Palestinian archaeological sites in the area. In a statement on Wednesday, the Palestinian institutions and national forces confirmed that Israeli occupation keeps introducing Sebastia's archaeological sites as Jewish monuments as part of its Judaization schemes in the town. The statement warned of Israeli continued practices and violations targeting Palestinian historical and cultural infrastructure. Under the pretext of restoring the site, Israeli occupation carried out drilling and exploration operations, the statement added. The Palestinian institutions and national forces called for protecting Palestinian heritage and archaeological sites before it is too late, and putting an end to Israeli ongoing violations. For their part, Sebastia's residents called for adopting a new Palestinian resistance strategy in order to strengthen Palestinian adherence to their national constants and rights. They also called for internationalizing the issue of Sebastia's archaeological sites at the UN and UNESCO organizations and exposing Israeli violations. The Israeli Occupation Forces (IOF) on Tuesday afternoon smashed up the properties of a Palestinian family and targeted other lands with demolition threats following a large-scale raid into al-Khalil city. “We were shocked as we saw the IOF pulling out shop doors below our family-house and preventing anyone from approaching before turning the shop upside down and smashing up whatever came in their way,” the house-owner, Haj Fawzi al-Jaabari, told a PIC correspondent at the scene. An Israeli soldier threatened to shoot him dead if he uttered one single word, before an Israeli patrol moved into his house, rummaged through it, and seized laptops and cell phones along with some other personal documents, Jaabari added. In a related event, an agricultural tractor and two vehicles were confiscated by the IOF on Tuesday afternoon following brutal invasions into al-Dairat town, east of Yatta, south of al-Khalil, the passer-by Mahmoud Hamamda told a PIC news reporter. According to Hamamda, the vehicles belong to Hamouda Moussa Abu Aram, already sentenced to a 3000-shekel-fine by the Israeli occupation authorities and summoned for a hearing in the Israeli Ofer courthouse by the end of this month. Access-bans have been issued against Palestinian vehicles in the village, which suffers from repeated Israeli police raids in view of its proximity to the bypass road trekked by Jewish settlers. In a similar context, an agricultural project, covering an overall area of around 70 donums, all planted with olive perennials, in Khirbet Umm al-Khair, east of al Khalil, was targeted with Israeli demolition threats, the SAFA News Agency reported, quoting a native inhabitant. The project included reforestation and maintenance work so as to rehabilitate the fertility of the land, already damaged by the Israeli illegal settlement expansion and the perils of desertification. MEMO - The Israeli security cabinet considered annexing parts of the occupied West Bank in response to the swearing in of members of the Palestinian unity government, Israeli newspaper Jerusalem Post reported today. 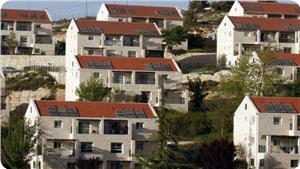 The proposal was presented by the Israeli Economy Minister Naftali Bennett. The newspaper reported an official source saying the first of the areas would be the settlement of Gush Etzion, south of Jerusalem. According to a statement following the meeting held yesterday, the security cabinet issued five decisions, including the creation of a team to study future options. Israeli Justice Minister Tzipi Livni, the newspaper reported, had pledged to block any efforts aimed at annexing occupied territories to Israel. However, Bennett said: "The sovereignty program that I proposed is the only available option today [for dealing with] the Palestinian rejection of peace [with Israel] and the [Israeli] Left's refusal to accept this solution." The Israeli government imposed several punishments on the Palestinian Authority in the wake of the announcement of the new government. The punishments included reducing the number of VIPs thus limiting their freedom of movement and increasing the amount of money deducted from PA taxes collected by Israel. It also affirmed that it prevented Palestinians from the Gaza Strip to travel to Ramallah to take the oath before the Palestinian Authority President Mahmoud Abbas. Israeli occupying authorities decided to demolish schools in Wadi al-Nea'am village in Negev Desert and transfer others to Shqeb al-Salam village. 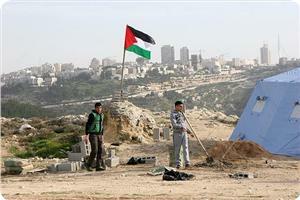 Demolishing the schools and transferring others are aimed to implement Prawer Plan. The Plan called for the Israeli government to displace 70,000 Palestinian Bedouins, confiscate 800,000 dunums of land and demolish 40 villages in Negev. Member of the High Steering Committee of the Arabs of the Negev, Joma'a Zubariqah, said that this resolution gives a green light to displace the village's residents by force. Moving schools is the first step to implement Prawer Plan on the land of virtual reality. 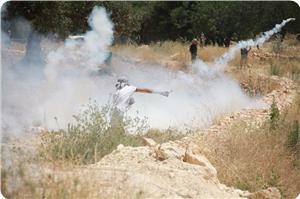 It is an alarm by the occupation for the residents to leave their villages, he added. Despite of this measure, Wadi Na'eam residents insisted on staying at the village and refused to send their children to other schools, al-A'asam pointed out. Arab MK Talab Abu Erar requested Israeli PM Benjamin Netanyahu to halt the whole measures of destroying the schools. He warned the Israeli authorities of destroying facilities, evacuating people , and forcing students to leave their schools pointing out that this may arouse the Arabs' anger. 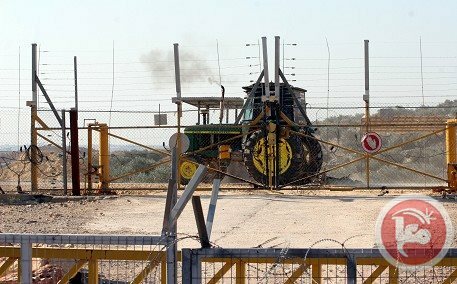 Israeli forces detained a Palestinian man on Monday after confiscating his father's agricultural tractor in the Hebron town of Beit Ummar, local officials said. Popular committee spokesman Muhammad Ayad Awad told Ma'an that soldiers stopped farmer Ali Daoud al-Alami while he was working his land in the Wadi al-Sheikh area. Al-Alami presented his license and registration to the soldiers, but they insisted on seizing the vehicle and took it to the nearby Karmi Tsur settlement. They also detained his son, Imad al-Alami. Hebrew media sources revealed tacit plans being set up by the Israeli mini-cabinet to form a special committee so as to seek ways to annex Gush Etzion settlements’ bloc, established on Palestinian lands south of Bethlehem. 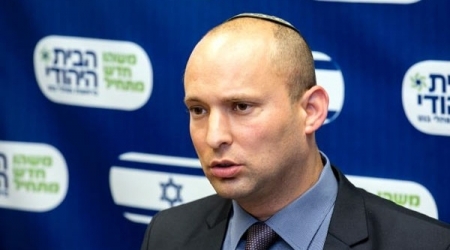 According to the Israeli TV Channel 2, the Israeli Minister of Economy Naftali Bennett asked the Cabinet of Ministers to annex Gush Etzion bloc, which comprises 14 settlements, to Israel. A committee to assess the political and security developments amid the current Palestinian reconciliation breakthrough is to be formed so as to deliberate over possibilities of taking unilateral decisions, the Channel added. A number of Israeli ministers and Knesset members had supported the annexation of West Bank areas to Israel. Several Israeli military jeeps invaded Hizma and Silwan towns, in occupied Jerusalem, demolished a number of structures and barns, and forced several stores shut. 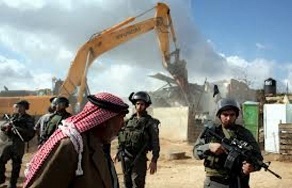 The Maan News Agency has reported that Israeli army bulldozers demolished metal structures used for trade purposes in Hizma town, northeast of occupied East Jerusalem. The soldiers also demolished a car wash structure, and confiscated refrigerators and electric appliances from a store in the town. Several stores were also forced shut after the soldiers placed red tape on them. 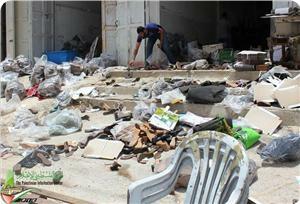 The army also demolished hothouses near the main entrance of the town, local sources said. 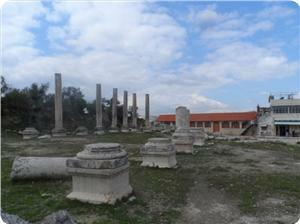 The demolished structures are close to the Annexation Wall section Israel built in the area. In related news, several military jeeps invaded Tantur Ferou'n area, in Silwan town, and demolished a horse barn. Furthermore, soldiers bulldozed a parking lot belonging to a Palestinian family in the ash-Shayyah neighborhood, in occupied Jerusalem. The Israeli bulldozers demolished on Monday barrack and walls in several areas in Jerusalem under the pretext of building without a permit. Wadi Hilweh Information Center was informed that the occupation’s bulldozers demolished a 40-square meter residential barrack in the area of “Tantoor” in Silwan that is owned by Ashraf Wazwaz and that is built from tin plates two years ago; they also demolished a wall that was built by the municipality 5 years ago. In a related matter, the municipality’s bulldozers demolished the walls of a parking lot owned by Tamer Aslan in the neighbourhood of Al-Shayah in Al-Tur. police and Special Forces arrived in the area and cordoned the area of Al-Shayah and executed the demolition process without prior notice. She pointed out that the parking lot was used as an aluminum workshop in the past and was emptied 5 months ago after the family received demolition notices from the municipality. The bulldozers also demolished commercial barracks in Hizma on early Monday morning. One of the barracks is owned by Fares Salah Eddin and was used as a carwash and for repairing cars; note that the municipality confiscated the goods and refrigerators from a commercial store in Hizma and also shut down other stores. In a related matter, the bulldozers demolished a storage and the entrance of the house of Akram Ali Qunbar in Ras Al-Amood in Silwan. Qunbar explained that the bulldozers demolished and swept the entrance of his house and 60- square meter storage that is part of the house and which has been built for 8 years. 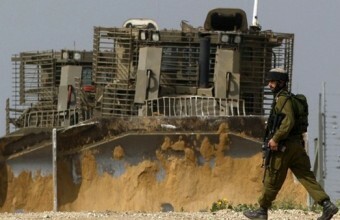 Israeli occupation forces (IOF) advanced into southern Gaza Strip to the east of Rafah on Sunday morning and bulldozed land. Human rights sources told the PIC reporter that IOF soldiers escorted four military bulldozers 200 meters into eastern Rafah and bulldozed agricultural land. 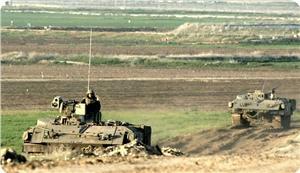 IOF incursions have increased lately in southern Gaza where land leveling and indiscriminate shooting take place. The Israeli Occupation Authorities (IOA) have confiscated a peaceful sit-in tent set up by Palestinian activists in Khilet al-Nahla village, in Bethlehem. According to Hassan Brijiah, the coordinator for the National Committee against the Wall and Settlement in Bethlehem, the non-violent sit-in tent was erected off Israeli settlers’ tent in Wadi Rahal, south of Bethlehem, by a group of Palestinian citizens and activists from the Popular Resistance as a means to protest Israeli illegal settlement expansion and arbitrary confiscation of Palestinians’ native lands. A tent was set up last month by a horde of Israeli extremists over Palestinians’ lands in Khilet Umm Nahla, paving the way for the misappropriation of the terrain, covering an overall area of 250 donums, Brijiah further pointed out. The Israeli occupation forces (IOF) on Friday suppressed peaceful marches staged in the West Bank villages of Masarah and Bil'in in protest at Israel's settlement activities and its violations against the Palestinian prisoners. South of Bethlehem, the IOF violently attacked the weekly anti-settlement march in Masarah village and prevented the protestors from approaching the segregation wall. A sit-in was staged at the end of Masarah village march, where some activists delivered speeches about the hunger striking prisoners in Israeli jails and urged the audience to actively participate in solidarity events held to advocate their cause. In Bil'in village, dozens of Palestinian and foreign activists suffered injuries after Israeli soldiers showered them with tear gas grenades as they were trying to reach an area near the segregation wall. Two Palestinian young men in addition to a young Danish female activist suffered injuries and were rushed to a medical center after tear gas canisters hit different areas of their bodies. During the march in Bil'in, the participants carried some pictures of hunger striking prisoners and banners denouncing Israel's administrative detention policy.